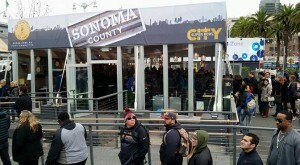 Celebrating Sonoma County wines at Super Bowl City! 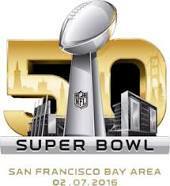 Smiles everyone smiles, welcome to ‪Super Bowl 50‬! 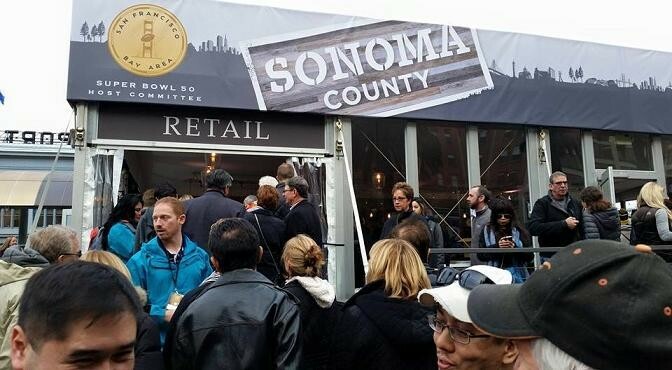 Great fun stopping by the ‪Taste of Sonoma‬ Lounge in ‪Super Bowl City‬ in SF this weekend. 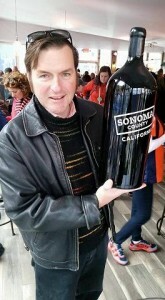 Even better seeing enthusiastic football fans from across the nation lovin’ the wines from ‪Sonoma County‬! 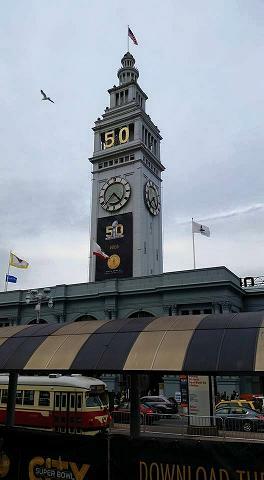 Make sure to visit Ferry Building Wine Merchant & Wine Bar, Hogsland Oyster Co, Cowgirl Creamery Cheese Shop, Slanted Door, and the other amazing food and wine purveyors inside the Ferry Bldg this week too! 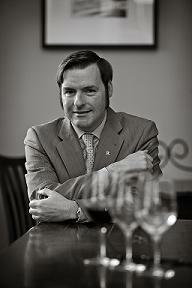 Here are some photos to pique your curiousity: Later this week, catch me at Market One restaurant on Feb 5 & 6 as a featured pre-game sommelier! My kind of trophy! Festive SB50 photo taken by Carolyn Stark of Sonoma County Vintners. Fabulous lineup of wines from Sonoma County producers Lambert Bridge Winery, Sehesio Family Vineyards and Parmeson Wines. 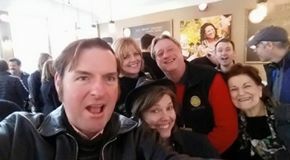 Selfie Delux with great friends from Sonoma County Vintners, Sonoma County Tourism, and a happy photo bomber in the background! 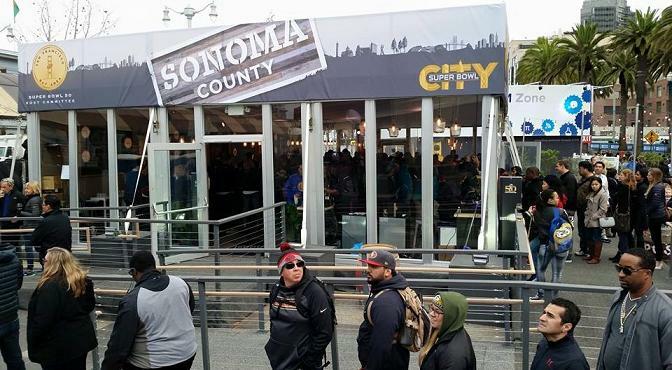 — with Carolyn Stark, Capo Creek Winery, Ken Fischang, #designatedphotobomber and Marta Hayden at SB50 Super Bowl City. 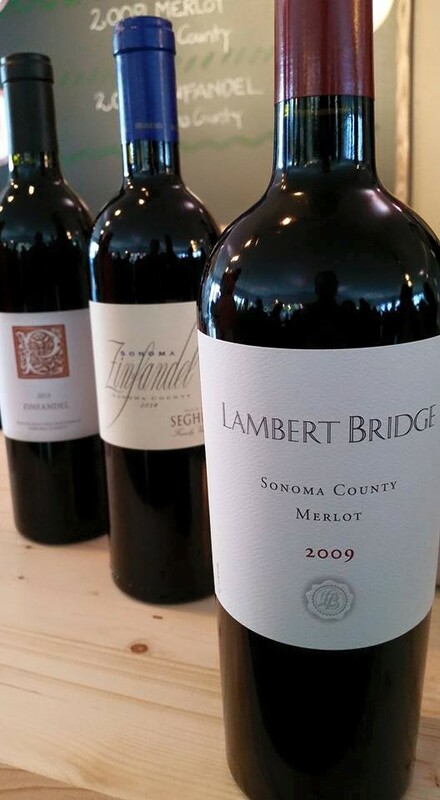 Previous PostTasty results from the American Fine Wine Competition 2016Next PostSF Chronicle Public Tasting this Saturday Feb 13th!